There really is nothing more invigorating than an indulgent spa weekend. From soft, fluffy bathrobes to soothing steam rooms, a weekend escape of lavish spa lounging is the perfect tonic to a busy, stressful week. And when those pesky blues start to kick in, a relaxing facial or heavenly massage is sometimes all we need to get back on top of things. What better way to indulgently relax and unwind than with some sensual spa time? Offering a touch of 5-star decadence, the Macdonald Randolph ticks many a spa weekend checklist. 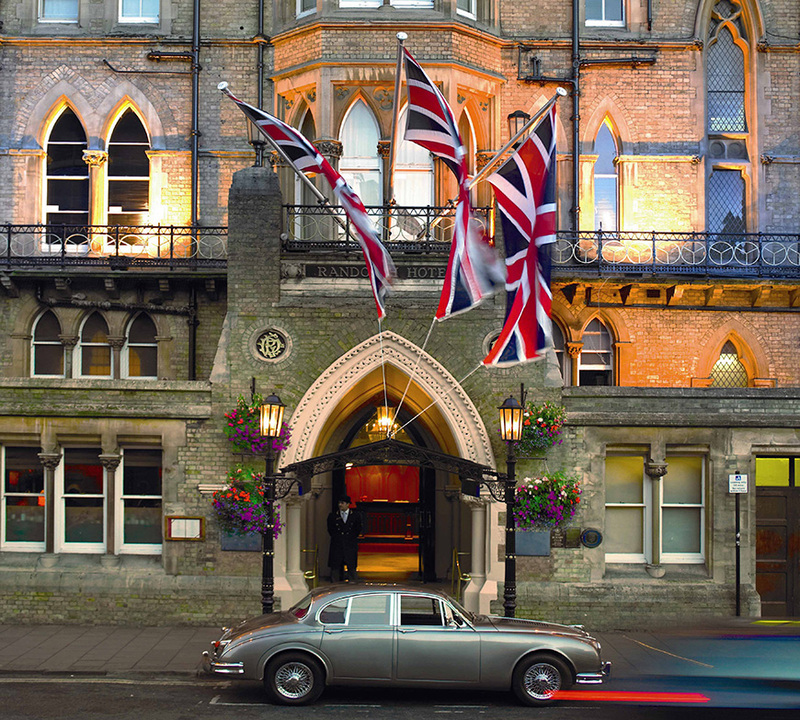 Located in the heart of Oxford’s charming city centre, the Randolph’s towering landmark building is steeped in history. Boasting beautiful architecture with ancient brickwork, the hotel is oozing with charm and elegance. 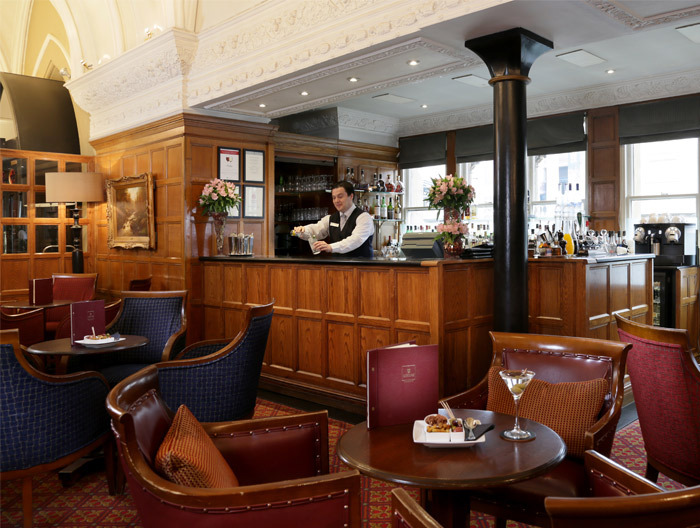 From the luxurious wooden-clad lobby and winding staircase to the sumptuously decorated Morse bar, the ambience provides the perfect backdrop for a wonderfully tranquil getaway. Tucked away from the main area of the hotel, the Randolph’s spa is an intimate oasis. 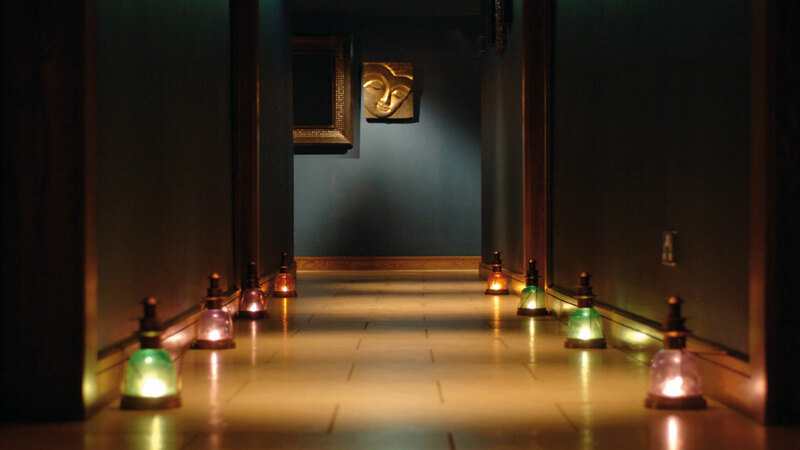 Tranquil and deliciously calming, the walls of the spa are dark and sultry with softly lit, glimmering lanterns paving the way through the cavernous walkway. At the end of the passageway there are steam rooms and saunas, as well as a hydrotherapy Jacuzzi to sit and swelter amidst effervescing bubbles. The scented sensation shower is a lovely treat, and – if you’re feeling brave – there’s an ice setting that will boldly awaken the senses following a hot sauna session. There is also a small gym available if you fancy a more energetic workout. The spa boasts a generous selection of treatments, including detoxing facials, pedicures and massages. With my back tangled in knots, I opt for the Macdonald Signature Treatment, which combines a deep tissue massage, anti-ageing facial and nourishing foot treatment. The gorgeous 90-minute treatment begins with a tension-relieving back massage. Having slept awkwardly the night before, the top of my back is uncomfortably sore. The vigorous strokes applied to my back and neck work wonders on the tight knots in my body. Concentrating on the problem areas for the most part of the 30-minute session, my therapist slathers layers of scented Elemis lotions onto my skin. Gentle piano music softly chimes in the background, as I drift into a deeply relaxed state. I can’t wait for a boosting facial to transform my skin from dull and lifeless skin into radiant and gorgeous. I snuggle underneath a cosy fur throw as the cushioned massage bed starts to radiate warmth beneath me. My therapist gently removes my make-up, then massages scented Elemis products into my skin. My skin feels energised and silky smooth after an exfoliation treatment, and the rehydrating lotion plumps my skin with added moisture. The final element of the treatment is a heavenly foot massage. The bottoms of my feet are lightly doused in soft trickling water, and a gentle scrub removes the winter build up of hard skin. Using a fragranced lotion, she works her fingers into the balls of my feet as I ease into a blissful state of serenity. 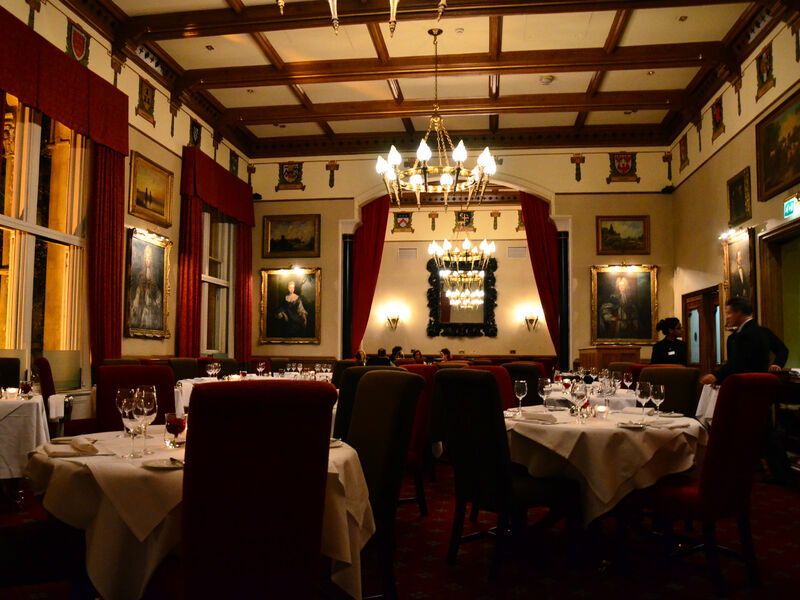 The three AA Rosette restaurant serves up mouthwatering British-inspired cuisine. From succulent Scottish smoked salmon to rich braised pheasant, the hotel’s ecclectic menu has a great variety of choices. The towering cheese trolley made a particular impression – creamy, soft and ripe cheese paired with a robust dessert port left a delightful, lingering aroma on the palette. Delicious! A classic room in the Randolph starts from £146 per room, based on two people sharing. This includes breakfast in the restaurant. Car parking is available upon request and costs £28.50 (recommended to pre-book in advance), but the hotel is located within walking distance of Oxford train station, or a very short taxi journey. The Elemis Signature Face & Body treatment costs £84 Mon-Thurs, and £94 Fri-Sun. Spa break packages are also available. A Revitalise Spa Break costs from £378 per room for two people. This includes an overnight stay, dinner, breakfast and an hour long treatment each. Stay on a Sunday night and enjoy late check out and a glass of chilled Prosecco on arrival. Choose one 60-minute spa treatment per adult from Stress away muscle massage, Fruit active glow facial, Hot stones full body massage, Jessica deluxe manicure or Jessica deluxe pedicure.